There are many waymarked routes throughout Europe all bearing the name ‘Camino de Santiago‘ and all converging on the city named after the Apostle St. James and known as Santiago de Compostela. There are many Camino routes, as shown on the Wise Pilgrim Camino Map. The map below illustrates 12 main waymarked routes. See My Camino Portugues Stages for post-Camino reflections and Porto memories. If you have plans to walk a Camino and would like to be a Route Reporter for The Camino Provides, contact me. Routes are open for pilgrims with a desire to share useful tips and high quality photos of their Camino. This would be a good platform for those who don’t have a blog of their own and want a publicly visible page to refer to. The Northern California chapter of American Pilgrims on the Camino held its annual Welcome Home celebration event on November 11th, 2017 in Oakland. 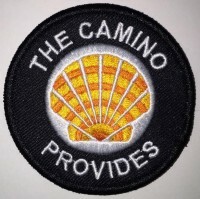 This year’s presentations included Camino routes “beyond the Francés.” First-time pilgrims and Camino veterans were given the opportunity to share highlights at a gathering, and it was a fun way to learn about less popular routes—off the beaten path. We presented in 10×10 format—ten slides in ten minutes. Seven routes were represented, and I presented on the Camino Inglés. It was challenging for all of us to select our photos and to speak for only ten minutes, because we are all very passionate about our experiences!